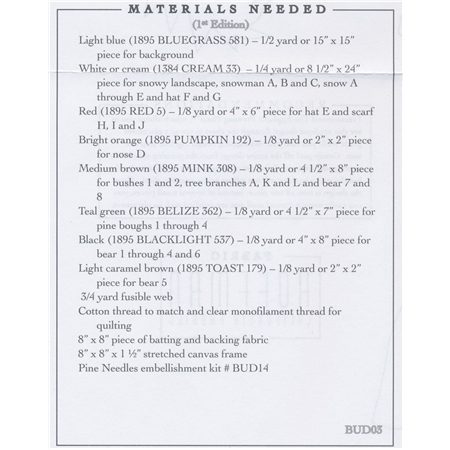 Snow Buds - Iced To Meet You is the block 7 pattern of the Snow Buds quilt by McKenna Ryan. 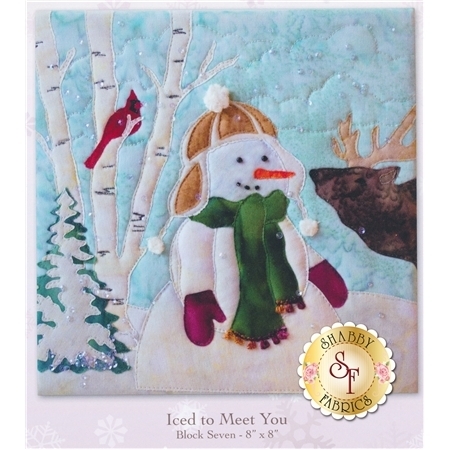 This quilt block features an adorable snowman meeting new forest friends! Finished quilt block measures 8" X 8". Add the Iced To Meet You embellishing kit below to finish this block!